Display your favorite photo, quote or artwork on our new Wooden photo holder. This new item is available now in our online store for only $14.99. We created this fun piece of word art using Real Wood Birch and Cherry paper, a Minc foil machine and heat transfer foil. Heat foil will transfer to toner from a copy machine. We took sheets of our Real wood paper to a local copy center for laser printing and then tested various heat settings on the Minc machine to achieve the foil transfer. 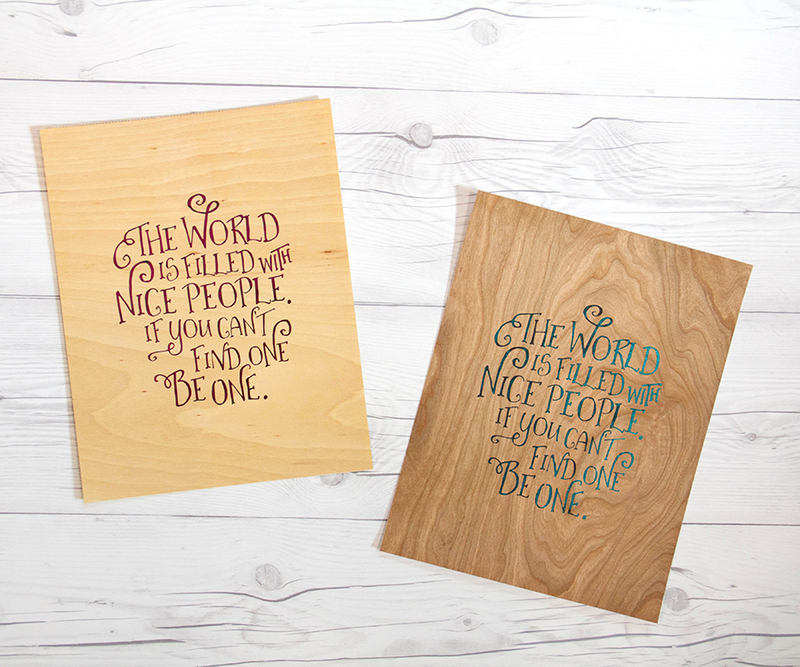 Since our Real Wood paper has a varied grain, the foil transfer also was a little varied. We love the results! Our Wooden photo holder measures 10″ x 10″ x 0.5″. 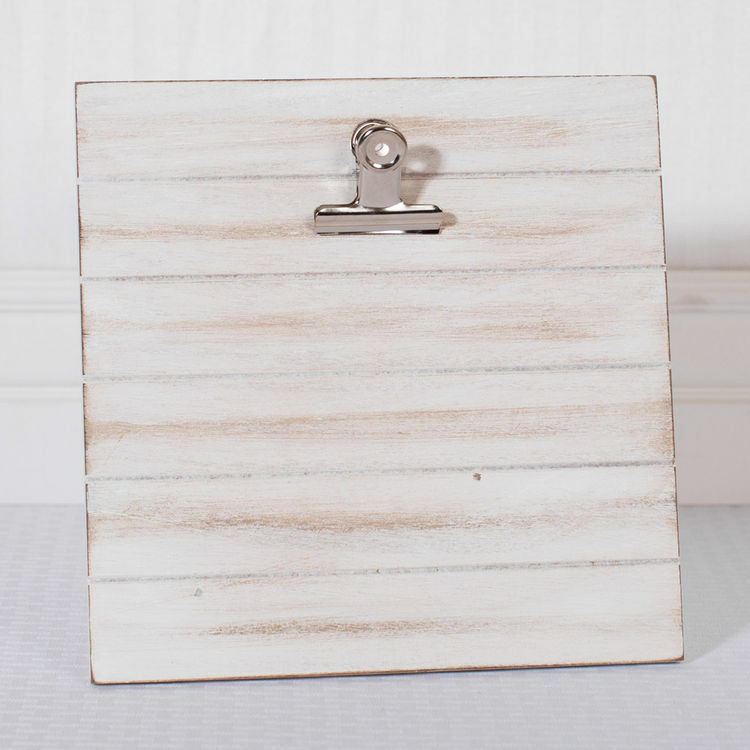 The metal silver clip is attached to the wood and functions like a clipboard. 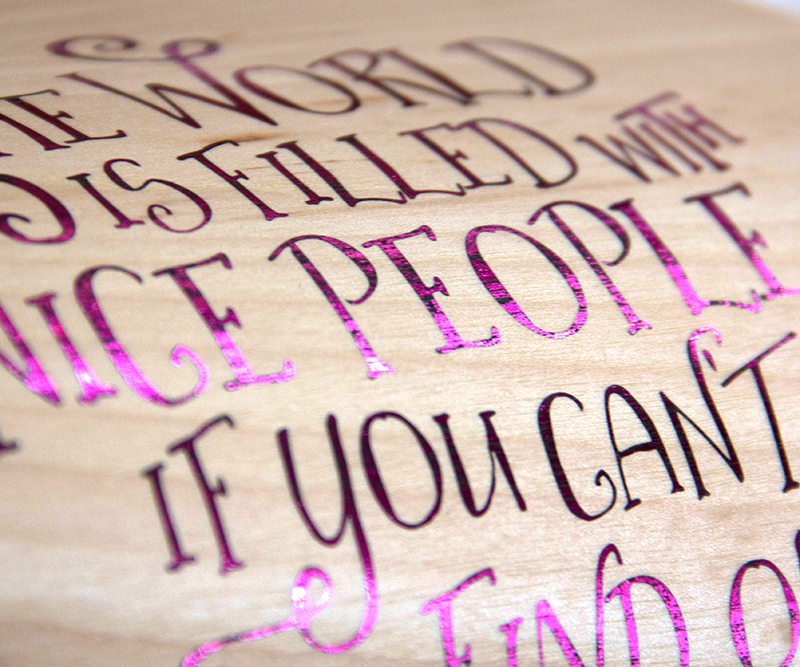 We printed this fun statement on a 5″ x 7″ sheet of Real Wood Birch paper. 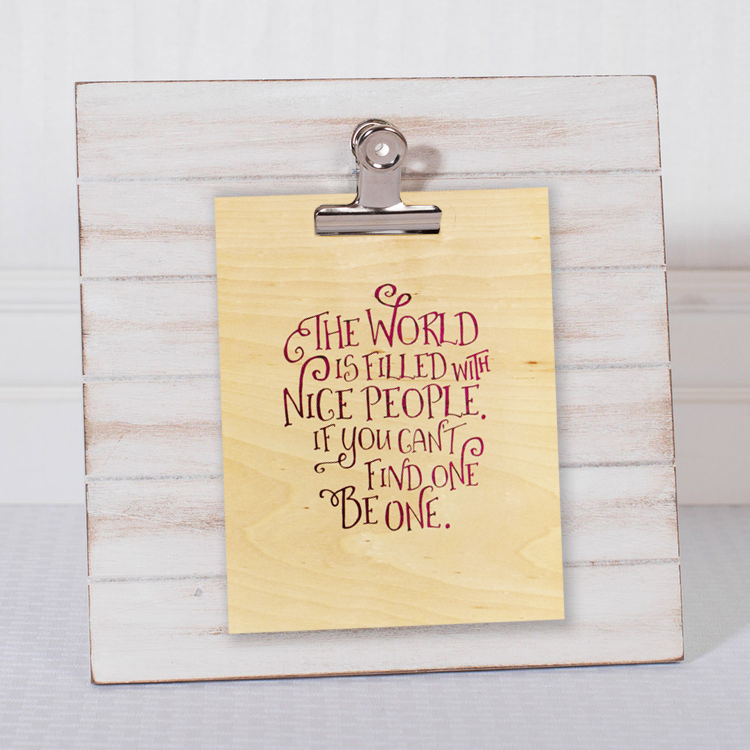 Clip your favorite quote, artwork or photos on this lovely sign! This entry was posted in DIY Projects, Home Decor, Uncategorized and tagged clipboard, frameable, heat foil, Home Decor, minc, Wood photo holder, Word art.